We lived in caves and caverns of natural formation being the Neanderthals the ones who inhabited those 170,000 years ago. Then we began to erect simple constructions, huts and simple structures with stone and trusses. But we could not stop there. We design trails with stones. We would work bones and wood: then we bore the earth not to bury our dead, but to create firm structures. Pottery would arrive around 7,000 BC: adobe brick (clay and sand) then, mixed with straw, first moulded by hand, then using moulds and dried in the sun. The cities of lime and mud would spread. We would invented mortar, made of lime, sand. Even the Great Pyramid of Giza used mortar to fix its 6.3 million huge blocks of stone. The Roman architect Marco Vitruvio, about 25 BC, would write a treatise on construction techniques. 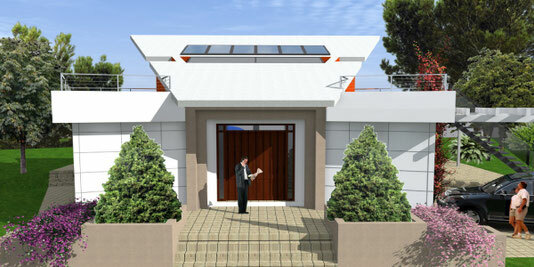 We would no longer think of simple shelter: we would seek beauty (Venustas), firmness (Firmitas) and utility (Utilitas). We created concrete, used in the 1st century BC by the Roman Empireby burning limestone and, from its ashes, we would obtain a new compound, with which we would improve the mixture, making it more homogenous and resistant. In the end it is a matter of building better, faster and cheaper. 3D digital printing has relegated traditional construction to something nefarious and archaic. If you have the right materials, you also gain sustainability and save money. In the end it's about building better cities faster and cheaper. Hans Vermeulen, founding member of the Dutch architectural firm DUS Architects, who is responsible for building the temporary official building of the Dutch presidency of the European Union, through a series of pieces that were fitted through a modular structure. A building of 700m² was prototyped first on a scale model. His current goal is to print houses like the traditional ones in the Amsterdam channels, revolutionising the construction industry. The printing techniques and the logistics of assembly will move away from the traditional brick and mortar system. The key is on the KamerMaker printer, a real-time 3.5 meter printer machine that contains a transport container from which it prints a 3D grids which are then filled with concrete and assembled. Last year he published one of his first projects: rooms of 2.2 m (width) x 2.2 m (length) x 3.5 m (height) using PLA (bioplastic) and PP (polypropylene). This first house, of 8m², with volume of 25 cubic meters, took barely two days to print. About 30% of the world's CO2 emissions come from the construction sector. There are 1.6 billion people in the world without adequate housing. Add these two figures and we will get the first two elements of the equation: pollution and lack of resources. 3D print does not require soil resources, but concrete materials, cast and treated with the specific methodology of the printer. This project starts with 13 spaces that are assembled as Lego pieces, similar to Ikea furniture, stairs, floors and walls are printed on one side and on the other, the walls taking into account the spaces for wiring and piping. From DUS Architects they digitize structure by structure and upload it to a server on the Internet, so it can be printed, or produced locally, which reduces transportation and replaces the way we move materials and products through the World. We will not build, we will print. The room that was printed last year was actually one of the thirteen rooms designed for the new house channel, which is expected to be complete throughout this 2017. In small drums filled with pellets, capsules of this biodegradable plastic, KamerMaker achieves forms of intelligent geometry that reduce the environmental impact and promise a future where Article 25.1 of the Universal Declaration of Human Rights is fulfilled. A series of contemporary precedents. 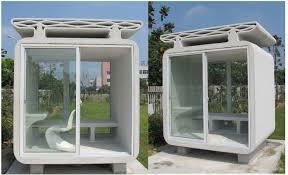 3D printers can produce durable, economical homes and in a time cycle up to 4 times less than normal. In just 17 days, dedicating ten of them to plumbing and electrical installations, the Dubai Future Foundation completed a fully functional building, a 250m² facility created from a printer 6 meters high, 36.5 meters long and 12 meters , 20 wide. 3D printing is not only proving agility and speed, suitable for restocking places devastated by inclement weather, but also an extraordinary resistivity. HuaShang Tengda was able to build a 400m² building in 45 days, able to withstand earthquakes of magnitude 8.0 and perfectly equipped. In Beijing, China, the first version of the Winsun printer was able to manufacture 10 houses a day. And not any house: mansions of 3 floors fully equipped, of 195 m²; although it is able, with its almost 7m of height, to give birth even whole lines of apartments with its mechanical arm similar to that of a pastry sleeve. According to their estimates, they managed to reduce production costs by 60% and manufacturing time by 70%. By reducing labour costs, the cost of production of these buildings could be reduced by up to 80% compared to the current buildings and, therefore, marketed at much more competitive prices. Can I print you one?